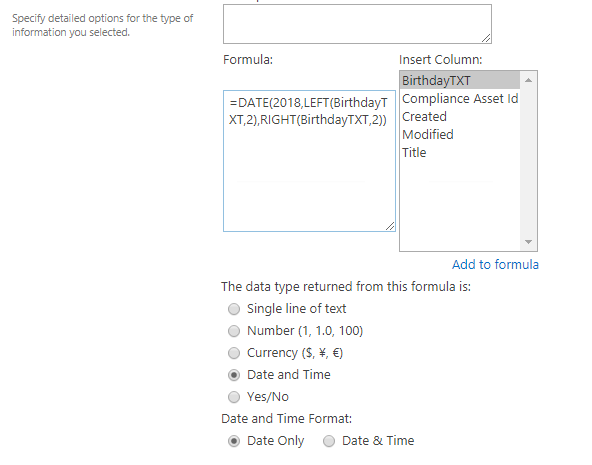 I am having issues trying to transform data into a functioning date in SharePoint Online in a list. 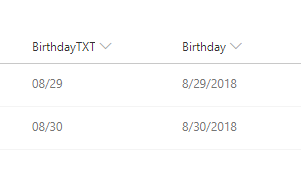 The idea is that we display upcoming birthdays for the company but don't display their actual age. Not the answer you're looking for? 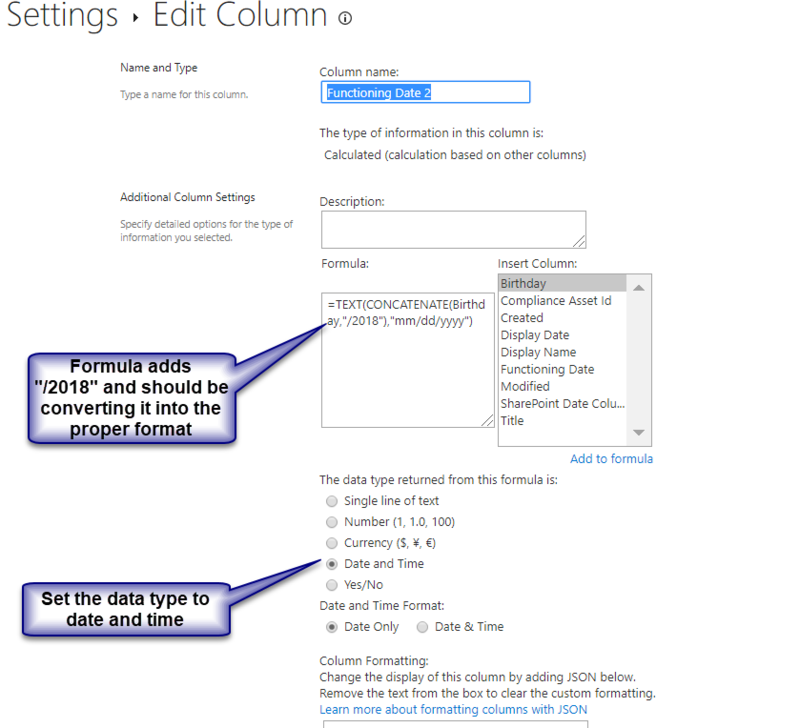 Browse other questions tagged sharepoint-online list calculated-column filter date or ask your own question.